Cabbage, Cauliflower, Radish, Brussels Sprouts and Turnip. Mustard does an excellent job of suppressing weeds when grown in a solid mass. 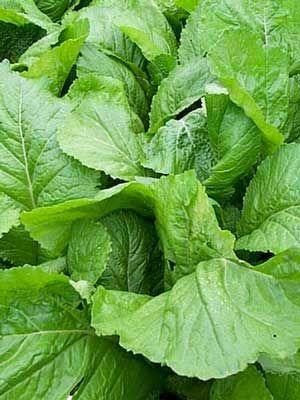 Sow in autumn to use mustard as a short-term autumn green manure. Broadcast seed into cultivated soil so that the seeds are about 5 cm (2in) apart and 1 cm (1/2 in) deep. Thin to 15 cm (6in) apart in all directions. Can be sown all year round to be used as sprouts. You can gather individual leaves for cooking, which taste best after the first frost has passed. Mustard residue suppresses soil-borne nematodes, so it is an excellent green manure to grow before potatoes. Mustard can also be grown for sprouts all year indoors and during the warmer months outdoors.